PAPI: Let me get this straight. She's Mrs. Kronk and she's Mrs. Kronk? 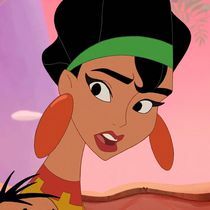 KRONK: Papi, I can explain. 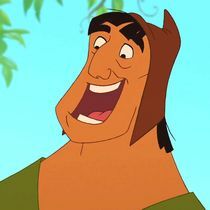 GIRL: I'm the lovely Mrs. Kronk. TIPO: Ow. You're stepping on my face. 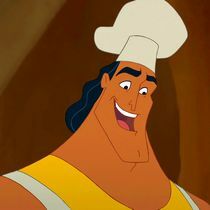 KRONK: Or maybe not. 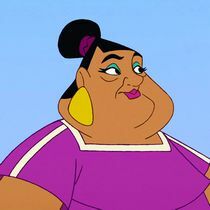 PAPI: Is there anyone in this town who isn't Mrs. Kronk? ELDERLY: Daddy! 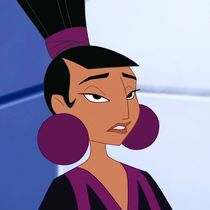 KRONK: How about them? PAPI: Who are they? 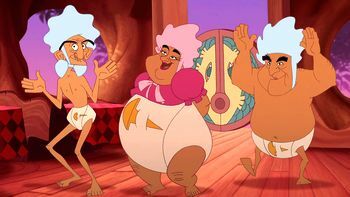 ELDERLY: We're Kronk's adorable kids! 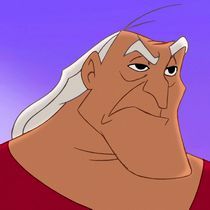 KRONK: Oh! 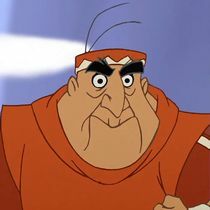 PAPI: Kronk! TINA AND MARGE: Sweetheart! KRONK: Tina, Marge. MARGE: Marge. TINA: Tina. 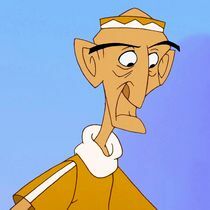 PAPI: Kronk! 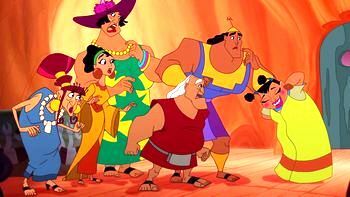 KRONK: Well, at least that's everybody. 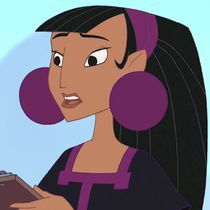 KUZCO: Boom, baby!